Claudia Schiffer returns as face of Guess after 23 years. Guess is celebrating their 30th anniversary by partnering with one of their original spokesmodels Claudia Schiffer for their new campaign. The campaign was shot by Ellen von Unwerth who shot the first few campaigns. Claudia looks absolutely stunning, only a true Super could look that perfect at 41. H&M confirms new fashion chain. Rumours have been swirling for days about H&M launching a luxury line and the Swedish retailer has confirmed their plans to launch a new brand next year. A spokesperson for H&M said: “A new store chain will be launched in 2013 under a separate brand with a higher price point. It will not be a luxury brand, but it will be a retail chain that will follow the same ambition as H&M, to offer our customers the best price for a comparable item”. Club Monaco launches transactional website. Earlier this week, luxury lifestyle brand Club Monaco finally launched their e-commerce site. The site is as beautiful as the clothing, I love the inspirational styled shots and clean layout. Christy Turlington (and tash) cover Tatler, May 2012. 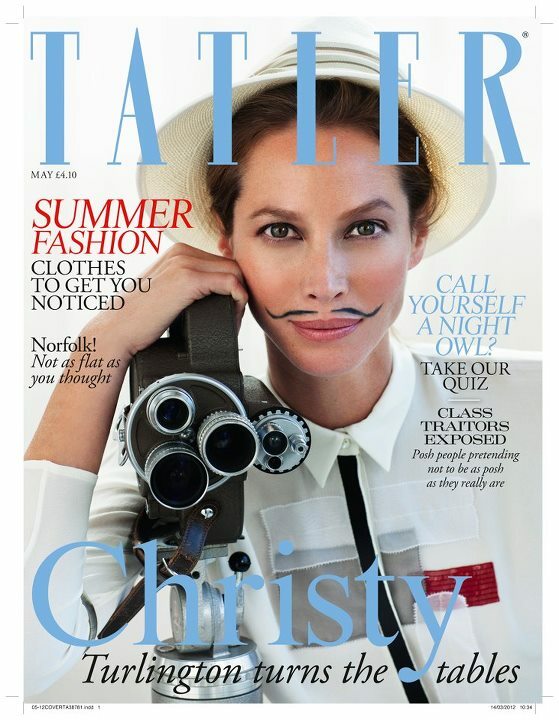 Another news on an original Super, Christy Turlington also shows off her timeless beauty, even with a mustache, on the cover of Tatler’s May 2012 issue. What do you think of her new look? This is Karlie Kloss as you’ve never seen her before. The first of SHOWstudio’s Fashion Fetish series features 19-year old Karlie taking the lead role as a super foxy vixen.